A consumer named John A. Taylor, who is an enthusiastic drone hobbyist, didn't think it was right that he had to register his aircraft with the Federal Aviation Administration (FAA). After researching the 2015 registration rule, he filed a lawsuit against the agency, claiming Congress had already weighed in on the issue, specifically barring the FAA from regulating non-commercial drones. The case made it all the way to the U.S. Court of Appeals for the District of Columbia, which sided with Taylor and nullified the FAA's rule. Drones used for commercial, or for-profit applications, including real estate photography, must still be registered with the FAA. 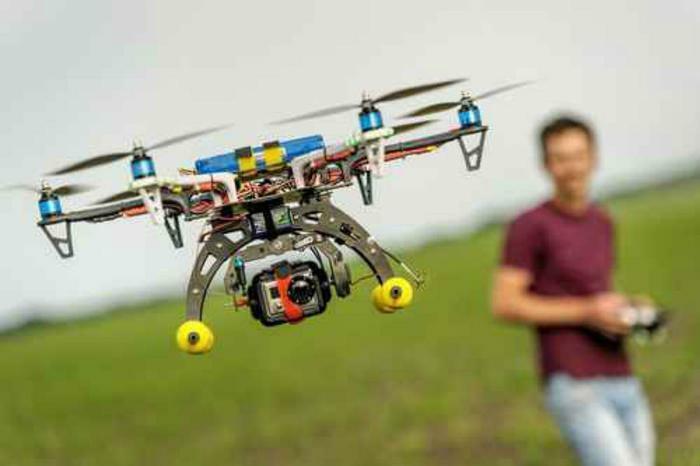 The recreational drone registration rule had not yet been finalized. But it required operators to fill out a form with name, address, and email address, and pay a $5 filing fee. It also required operators to display an FAA registration number on the aircraft at all time. The FAA has expressed growing concern that the proliferation of these unmanned aerial vehicles can pose a threat to manned aircraft, in particular commercial aviation. At the end of last month the agency conducted detection exercises at Dallas-Fort Worth Airport to evaluate any safety threat posed by unmanned drones, whether commercial or recreational. "Drones that enter the airspace around airports can pose serious safety threats," the FAA said in a release. For now, if you have a recreational drone, you don't have to register it with the FAA. However, that may not be the end of the story. In response to the court ruling, the FAA issued a statement saying it is weighing its options. One option is to appeal the ruling to the U.S. Supreme Court. A more likely move, however, is to ask Congress to address the question with legislation.